Two London cabbies with a combined experience of 40 years have joined forces to launch a dedicated taxi PR company to promote London cabs. Gary Long from Warlingham, Surrey and Lee Sheppard from Bromley, Kent, have joined forces to launch London Taxi PR in a bid to fight back against challenger companies such as Uber. The duo launched their first advertising campaign earlier this year promoting London Taxis for their safety and trust which was funded totally by donations from London Taxi drivers and suppliers. Over 50 posters appeared in London’s West End, with the aim of highlighting that black cabs are trusted for their safety and are wheelchair accessible. The £6,000 campaign was organised in association with JC Decaux, who assisted with the design of the posters. The duo are now hoping other cab drivers will get behind the campaign. Co-founder Sheppard said: “London Taxis are under pressure and we need to shout from the rooftops the great advantages of black cabs. “This is why we set up London Taxi PR to enable us to bring about campaigns such as these, so that we could highlight the benefits of our trade. 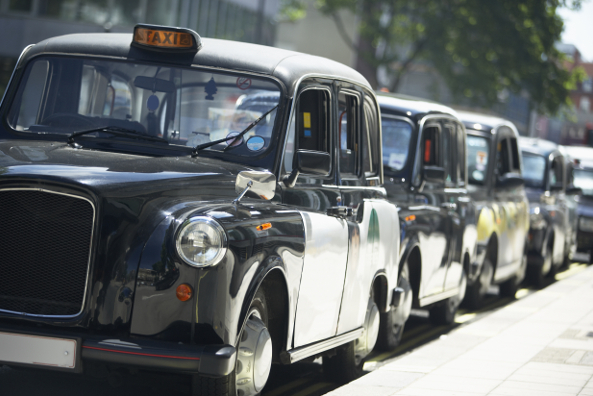 We coined the phrase, “Take a Ride in London’s Pride” and we’ve received great feedback. The ‘Trust Safe Taxi’ poster advertising campaign was also supplemented by a campaign on 400 digital screens on the roofs of 200 black taxis, kindly donated by Verifone Media. PreviousMore Good News : St Pancras Parking Problem, Solution Found.